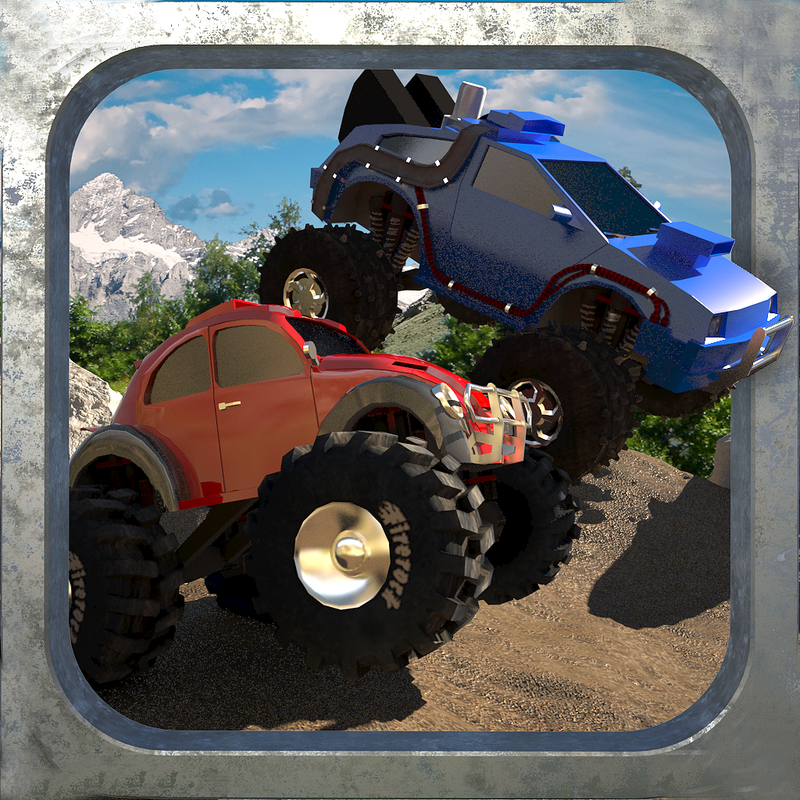 HILL CLIMB RIVALS offers you head-to-head racing with hill climb style through green forest and sandy desert against opponent (AI) with different strength. Race and win races to be able to unlock next tiers. Collect racing points (RP) upgrade your car or purchase a better one. If you don't like looks of your car you have a possibility to change color, decal and rim. DIFFERENT TYPE OF TRUCKS include 10 unique cars with various upgrades and driving style, as well as more then 10 famous cars to beat them. UNIQUE UPGRADES add your car more power that's why you should upgrade your car as often as possible. More than 25 different upgrades are waiting for all cars. CUSTOMIZATION FEATURES allow you to change color of your car, put decals on sides and front of the car and choose a rim that fits better to your style. 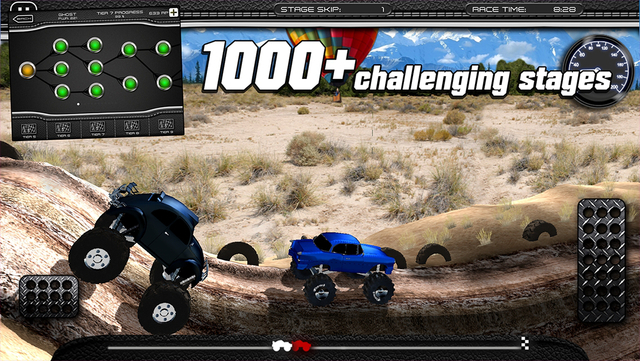 CHALLENGING TIERS have a tons of stages with very various tracks to race against opponents. Every tiers have more then 100 various stages. There are SPECIAL STAGES which reward you an instant upgrade if you won. It's up to you when you try to win on them. UPDATED GAME ENGINE ensures 100% compatibility with iOS 8, iPhone 6 and iPhone 6 Plus. - Try to defeat your opponent on both tracks. - Restart a race puts your car to the other track. - Win a stage at the first time for higher reward. - Win a stage at the second or more time for smaller reward. - Upgrade your car as often as possible. - Special stages reward instant upgrade. Use them wisely. - Push the gas pedal to the metal before green light. - Purchase a better car if a new tier is unlocked. - Achieve 25%, 50%, 75% and 100% of Tier Progress rewards extra racing points.